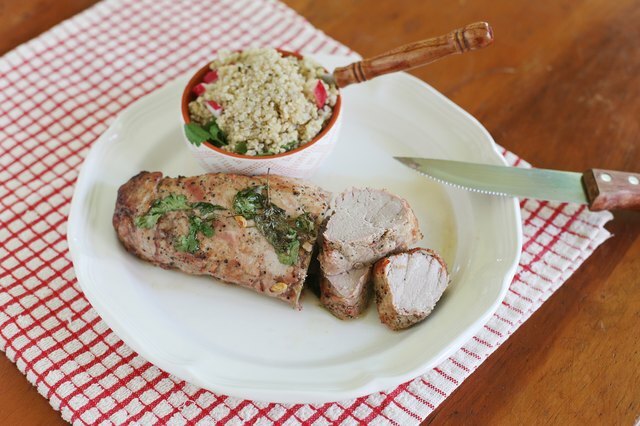 Because it is small and has an evenly cylindrical shape, a pork tenderloin can be easily cooked while it's frozen. Cooking a frozen, already-seasoned tenderloin is fast, simple and convenient, but the results can be less consistent than with a fresh cut of meat. Grill, roast or broil a tenderloin to cook from frozen, but be aware that it can take almost 50 percent longer to cook. 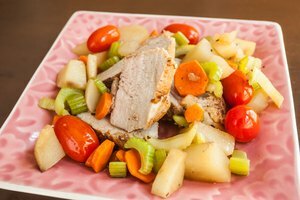 All pork tenderloins need to be cooked to an internal temperature of 145 degrees Fahrenheit, regardless of the cooking method. Let the meat rest for at least three minutes after cooking to give the juices a chance to redistribute and allow the meat to continue cooking for a bit longer. This minimizes your chances of food poisoning. 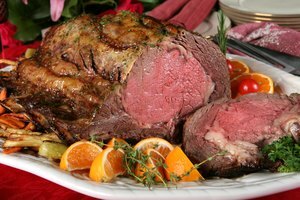 When meat is cooked from frozen, it essentially is defrosting as it cooks -- so high-heat cooking methods are the only appropriate option. Cook a frozen tenderloin in a 325 degree F or hotter oven. 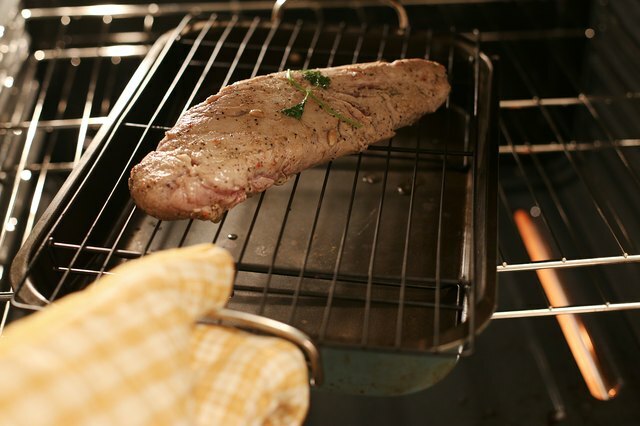 Preheat the oven and place the frozen tenderloin in an oven-safe pan in the center of the oven. Roast covered or uncovered -- the tenderloin will cook faster covered. Covered, a 1 1/2-pound tenderloin will be ready in 75 minutes when cooked at 325 F, or 120 minutes if cooked uncovered. To broil a 1 1/2-pound tenderloin, preheat the oven to 500 F, and place the tenderloin 4 to 5 inches below the broiler. Roast for about 55 minutes, turning the loin every 10 minutes to ensure even browning. To grill a tenderloin, preheat the grill to medium-high heat. Place the frozen loin directly onto the grill or use an aluminum pan if you do not want the juices from the pork dripping onto the grill. 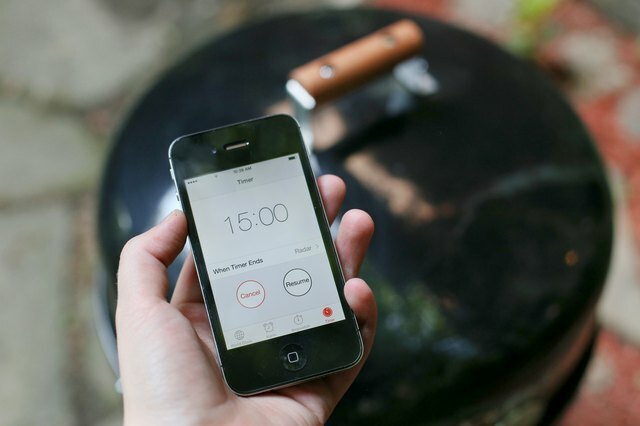 Close the lid and cook the meat for 50 minutes, turning every 15 minutes to ensure even cooking. 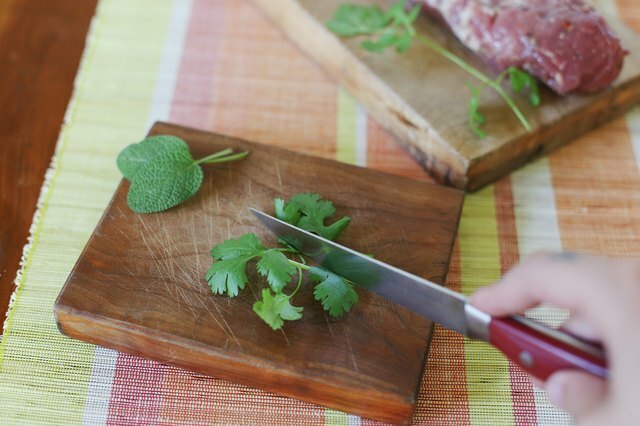 Marinate and season a pork tenderloin with spices or herbs before freezing. This makes for a more elegant presentation, and freezing a marinated tenderloin gives the meat a deeper flavor, as the seasoning has more time to penetrate. Marinate pork in a mix of chili and garlic powder, beer and lime juice for a few hours before wrapping it tightly in plastic and freezing. Alternately, roll a tenderloin in a mixture of crushed, spiced nuts before wrapping and freezing. Tenderloin wrapped tightly can be kept in the freezer for two to three months.